Dhiraj is the youngest of four children. He has three older sisters and loves to play cricket. His father does not earn much money because he wants to help others. The family has faced many challenged with health, finance and other unfortunate circumstances. Your sponsorship will ensure that Dhiraj will be able to go to school regularly, receive good food, medical and have all of his basic needs met. 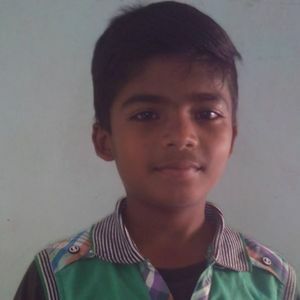 Most of all your sponsorship will give Dhiraj and his family hope for a bright future.